About a year ago, I set out to construct a professional "German" brewhouse in my basement. While its not completely finished as of yet, it's getting close. I still have the room left to finish, grain storage and delivery, and hop automation left. I partnered with stout tanks and kettles to come out with a Low Oxygen Brewing specific kettle line, so others could buy these if interested. I designed theses kettles specifically to be optimized for my brewing. So this really is a from scratch build, all the way from designing the kettles, to them being custom built to my specs, etc. 100% tri clover, sanitary welded and mirror polished inside and out. To control the system, I built a control panel from scratch using a 24" touch screen monitor. I 3d modeled the system from scratch as well, and use that as my background. Each vessel has its own DO and pH probes. Once I click "Recipe Input", it then goes about its way on brewing. Which makes it very easy to start brew sessions early in the morning, or even from work, and time it to be home just for hop additions. 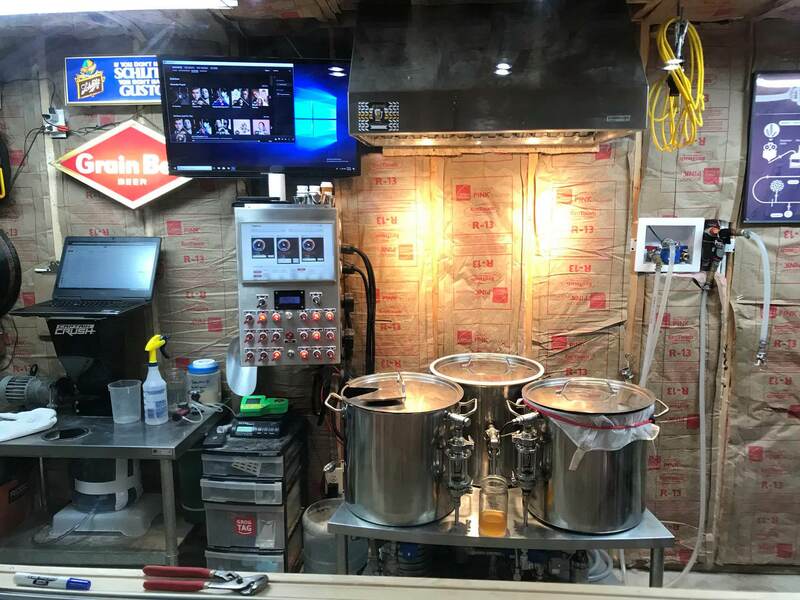 When brewing is done, the fermentation automation takes over with a few stout conicals, and some SS brew buckets. 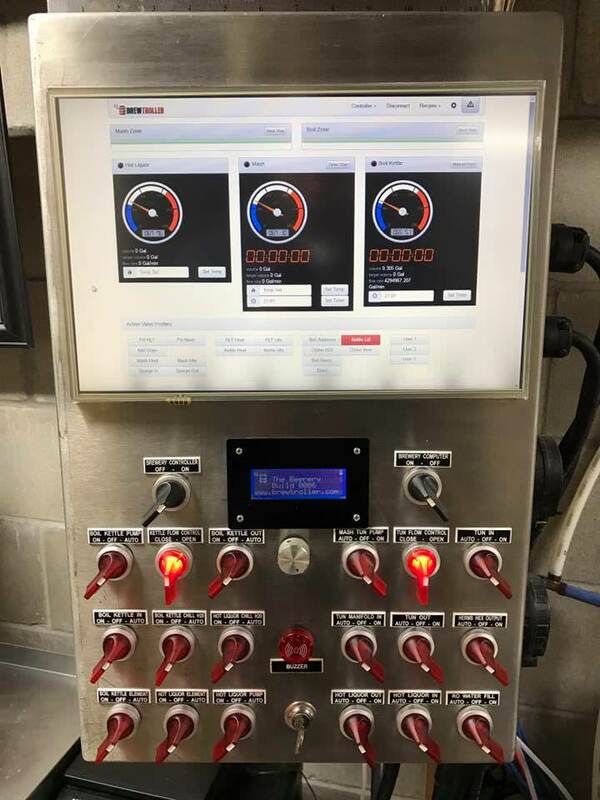 Once fermentation is nearing completion and since I brew according to the RHG, the system will transfer the beer over to the serving kegs where its using some more custom scripting to "Auto Spund" the kegs based on their temperature and carbonation level desired. It's all dynamic, and no human interaction is needed. I built this brewery because the Continental macro brewers and their technology fascinate me. I have the strictest of standards when it comes to beer, and this system allows me to always reproduce the beer I set out to brew. Automation is one of my favorite things to do, and it allows me to have stress free, and always consistent product. 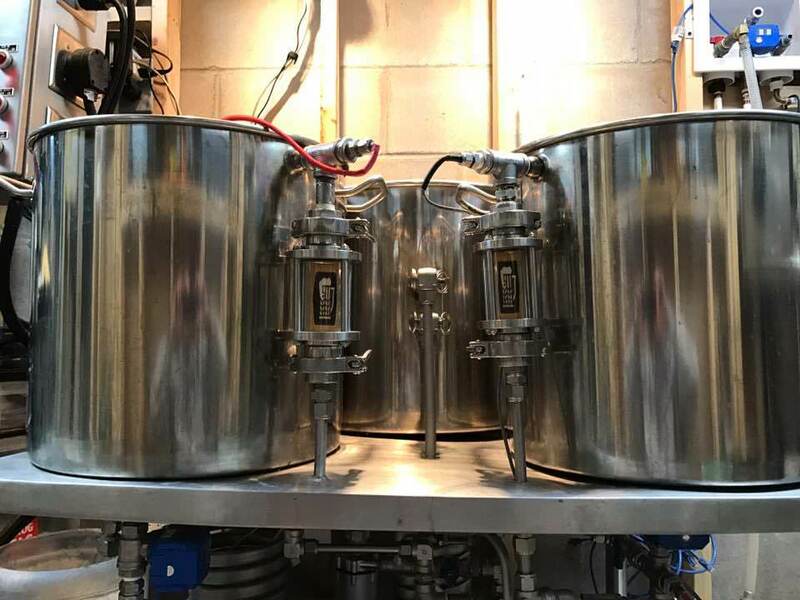 Classifieds / Homebrew systems and parts for sale. Would prefer to sell as a whole system, but if enough interest I will sell separate. BIAB semi-automated setup used 2 times. 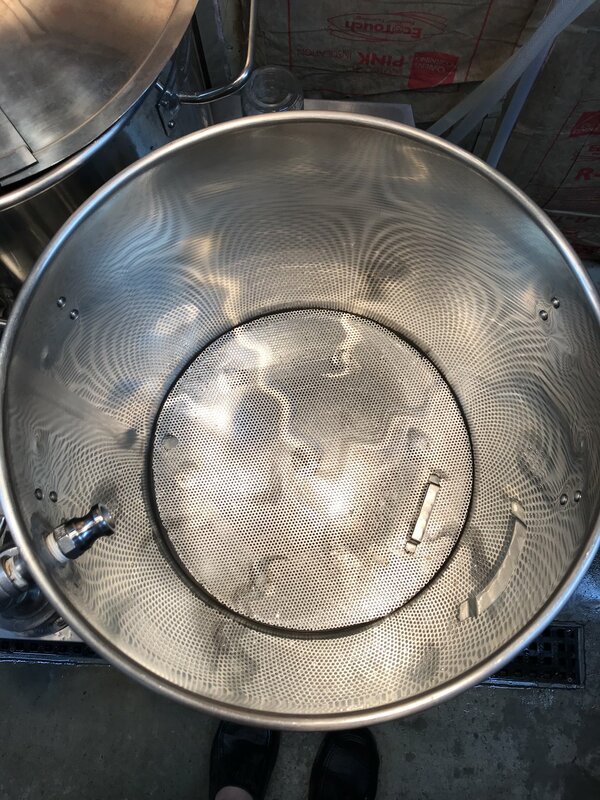 10gal tallboy- 2 lids, one normal, one hinged, and a mash cap. 3, 1/2" soldered 1/2" fittings. Comes with everything you see here..
$700 plus shipping, its ready to unbox and brew immediately. Milwaukee mw102, BRAND NEW NEVER USED PROBE, and a back up probe. $75 shipped. 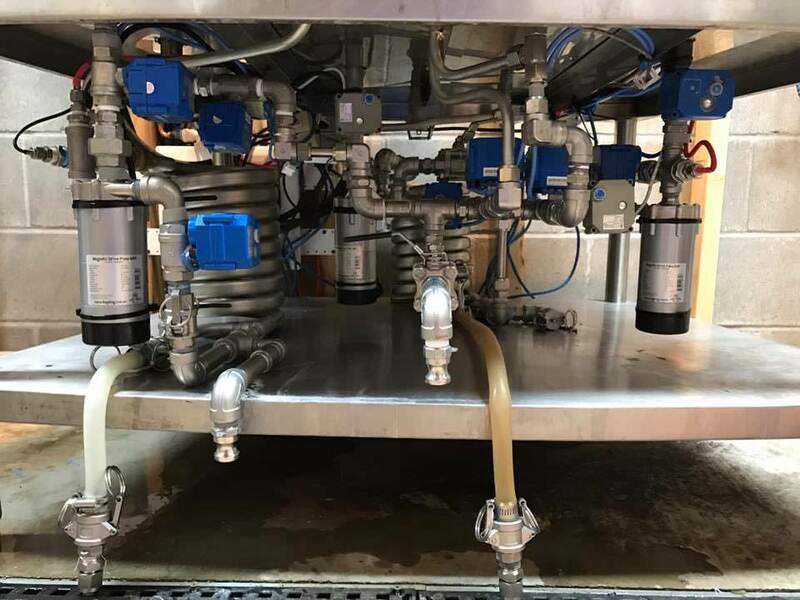 Also up for sale my baby...3 vessel fully custom, mostly automated, brewtroller system, electric, electric valves, pressure sensors, 2 cfs's, all SS, touchscreen.. too much to list! All Grain Brewing / How long does it take you to brew a beer? Wondering how long it takes you guys to brew a batch of wort. I am pretty out of touch with normal timings and whatnot, but I have been filming and recording my brew sessions for about the last year and a half. Seems like my average time is right around 5hrs and 30 minutes from lights on to lights out. I will argue it takes what it takes to make what you want to make, but curious what others are at? Repackaged immediately, and purged with nitrogen. $20 shipped per 50g pack. We think this low oxygen brewing this is pretty neat, and we have been doing it for quite some time. However lets be honest, the paper that we wrote on it was not very easily digestible for the normal brewer and I think that hurt us. Some of us thought that we should really break it down and make it a little more easy to follow, get rid of any pretentiousness, and get this to the masses. We are proud to announce a whole new site www.lowoxygenbrewing.com where we try to just give the straight facts, easy to follow steps and instructions, a nice break down of the paper, and an open mind to help any and all. We hope that folks can use an incremental approach to this new way. These methods can help any and ALL beers, and we hope to help everyone we can try and brew the best beer possible. 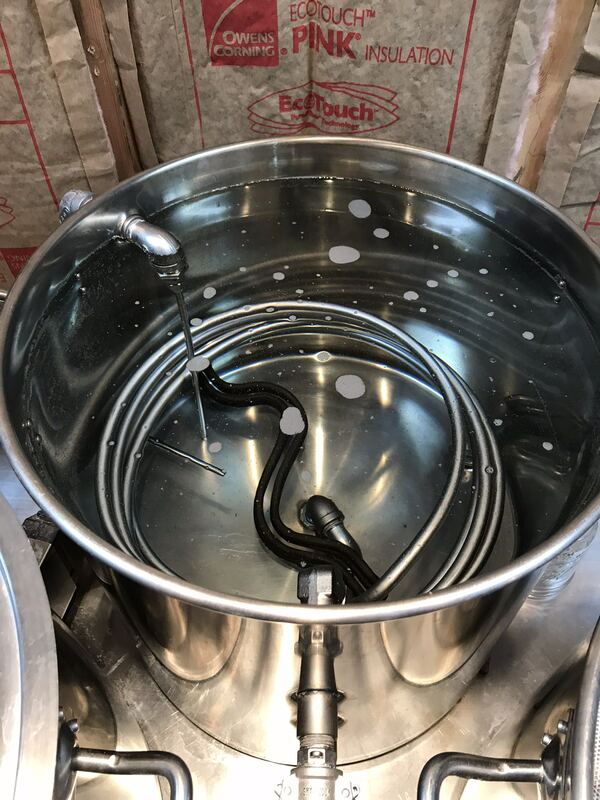 We hope you find this a wealth of resources, be sure to check out the brewing references for a long list of brewing gold (inluding some of this recent talk about anti-oxidation trifecta's! ). Since this is more process than really equipment, most brewers will have little to nothing to add to thier inventory to give this a go. So Good luck! I have been playing with trying to get the malt right for these beers for quite some time. I found the more I tightened up my system the more the malts I was using tasted wrong. Vima was giving me way to much fresh dough, even at 5%. Muma was adding a weird slight sour twang, along with a muddy flavor, and it was not what I was tasting in the beers I love. We had always previously joked about a super pima, so thats where this name came from. I did a bunch of looking into things, and determined that I wanted to blend pima with as similar a malt like it I could. I know Steve looked into blending it will pale ale malt, so I started there, but didn't have to go far, because it was a home run. Enter the pima/pale ale super pima blend®. Which is the pima of your choice(I use Barke exclusivly), and Weyermann's pale ale malt. Working with Big monk, we came up with a really easy way to blend these malts( more on that coming soon). Personally I use a 50/50 blend of the 2 and am blown away with the results. Its like pima on steroids, with none of the other flavors I was getting with the addition of the other malts. The pale ale malts lend amazing foam properties as well. The color of the beers with the blend is pretty much spot on when comparing to commercial examples as are the malt flavors. Threw together this bottle washer, it can clean 24 bottles at a time using a submersible pump( I used my keg cleaning pump). I based it off of the fast racks. soldered some 3/4" pipe and fittings, and notched out the feet of the fast racks to sit on top. Getting placement for holes and nozzles. All soldered and testing with 24 550ml bottles. Can I get a sub category off of All Grain, that is called German Brewing, where we can talk about all things german... Methods, proccess, literature, recipes, etc? Monk and I released a piece we have been working on for quite some time. This sheet is quite amazing and has been built from the ground up to help people put this all together. I am going to link the post from GBF, but we can certainly discuss any and all questions here.